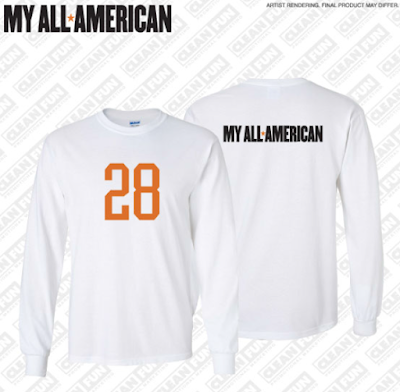 My All American Swag Pack + $25.00 Gift Card #Giveaway! What Freddie Steinmark wants most in the world is to play football. 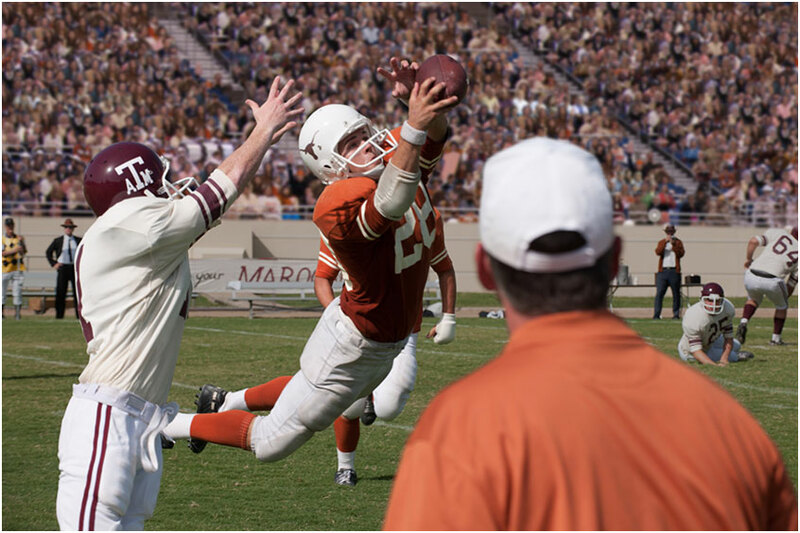 Deemed too small by the usual athletic standards, his father trains him hard, and Freddie brings a fight to the game that ultimately gets him noticed - by none other than legendary University of Texas coach Darrell Royal. Awarded a scholarship and a chance to play for the Longhorns, Freddie sets off to Austin determined to make the team. Alongside his old teammate Bobby Mitchell and new pal James Street they rise to the occassion, giving the Longhorns a real chance to turn the team around. But just when they’re reveling in the success of the season, Freddie suffers an injury that leads him to a shocking diagnosis and the biggest challenge he will ever face. 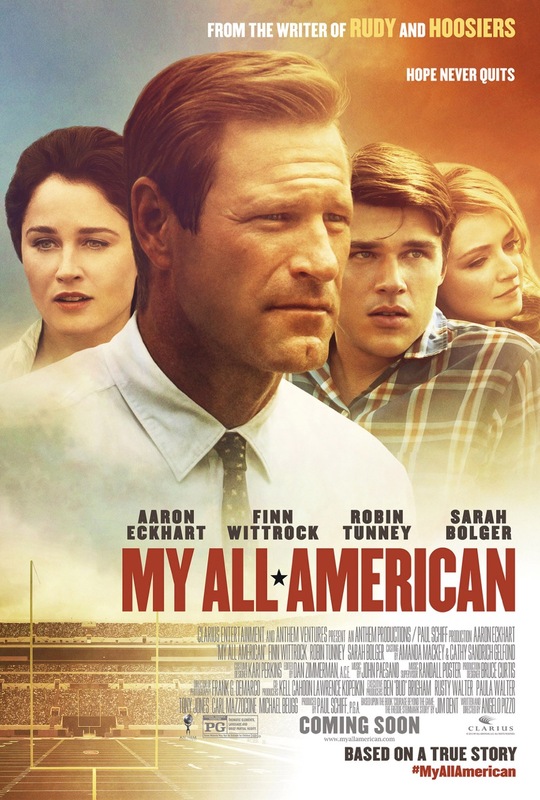 I love the movie RUDY, so I cannot wait to see My All American. 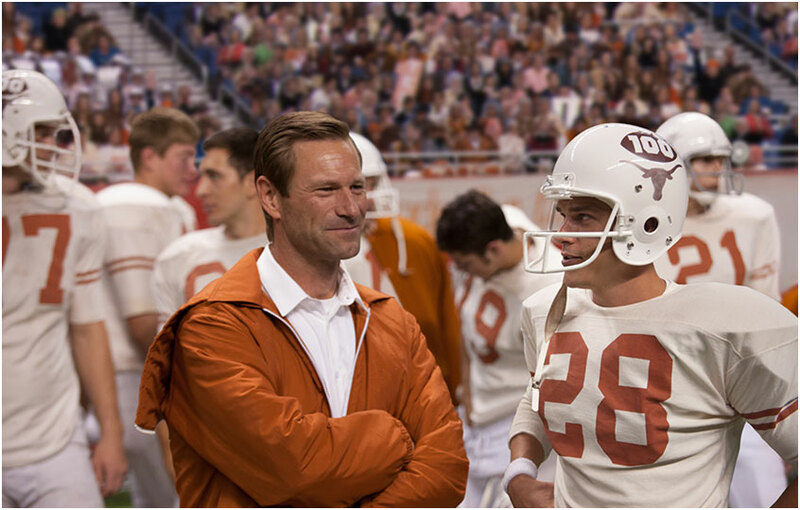 I'm not actually a big football fan, but I love movies like this, which are uplifing and encouraging. This is a great movie to watch during football season! 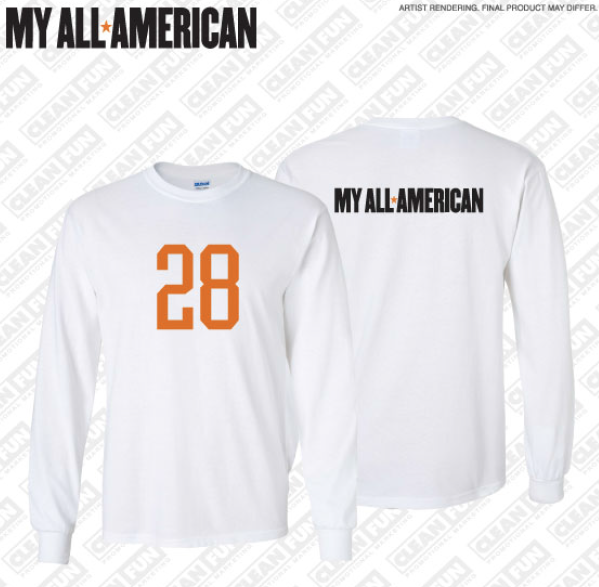 One lucky MBP reader will win a $25 Gift Card, My All American Long Sleeve T-shirt, My All American Hat and My All American Cinch Sack. Open to US only, 18 and older. Prizing provided by Clarius Entertainmen. If you have won the same prize on another blog, you will not be eligible to win it again. Just use the RC entry form below to enter for your chance to win! Looks Like A Great Movie! I Love Sports Themed Films! I love this movie. It is such a good movie! I like that it is a true story and I like that it is a Sports type of movie. I will be go to see the movie with this money! I like that its a family movie and my family are big football fans. This looks like a movie that I can watch with my son. It looks like a great movie. I think this looks like a great family movie. I love ones that are based on true events too. Just an FYI: The link for your Pinterest Giveaway Board isn't working on either entry. Thanks! This would be a great movie to enjoy with my husband, he loves sport movie. This movie looks really good. I like that it's based on a true story. I would use the gift card to see this movie. I thin kit looked really good! I 'll definitely have to check it out! I will use it for my Christmas money to buy some nice gifts. I think it looks great! I would love to take my dad to see it. I would use the $25 gift card to see this movie. I will use it for Christmas gifts. This looks like a good sports film. I will buy nice Gifts for the Holidays with this money! I would use it to go see this movie. The movie looks very inspiring. I really like the writers of this movie, they also wrote Rudy and Hoosiers-two of my favorites. The movie looks exciting and inspiring... Also there is little mystery cause I want to know what happen with his injury. This looks like an inspirational movie! I would use the $25 to purchase movie tickets! I love the premise if this movie. It is about overcoming the odds! I would use the money to buy Christmas gifts. I like how the main character works towards his goals against all of the challenges. I thin k my husband would enjoy this movie more than me. Perhaps to go to a movie with my husband. I will buy some really nice Christmas gifts! I love feel good sports movies like this one. I would go see this movie. I would use the 25.00 gift card to go see this movie. I will buy some nice gifts for the Holidays! I am going to buy gifts for my family! Thanks for this giveaway!! If I won I would use it to see this movie. This looks like a really good movie. Definitely going to bring some Kleenex though! I am going to be buying gifts with this money! I would use the gift card towards a new watch. our whole family would enjoy this movie. I would spend the $25 to see this great movie. I love that this is based on a true story and would love to see this movie. I think it would be very inspirational! This looks like a movie that I can watch with my husband. Looks awesome! I love football movies. I would use it to see this movie if I won. Love sports movies so I'm gonna love this one! I would use the gift card for Christmas cards. I want to get my Dad a nice Christmas Gift! I'm from Texas... so yeah. If I won this gift card I would go see this movie! I think it looks good. I like the cast. I will use it to buy Christmas gifts. Looks like a great movie, I would use the gift card to see the movie. If I were to win I would use the $25 to see this movie. It looks like an inspirational movie. I would like to use the 25.00 gift card to see the movie.